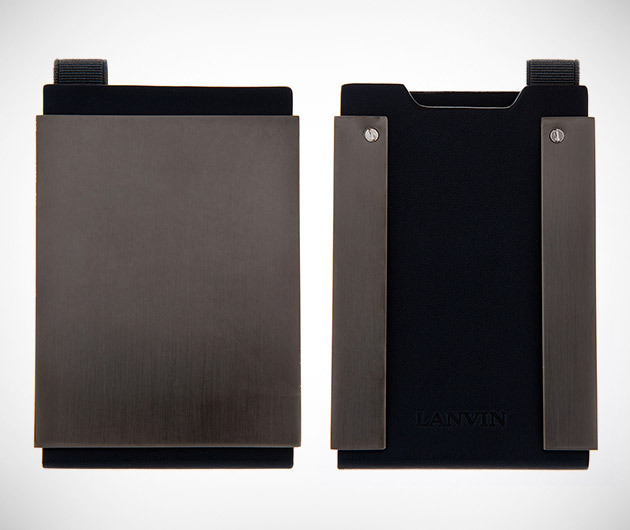 Stash your plastic safely and stylishly with the Lanvin Gunmetal Cardholder. Designed in France and made in Spain, the hard-shell is finished in glorious gunmetal tone brass while the structured sumptuous leather interior sports an embossed logo. All finished with tonal stitching and secured with a comfortable elasticized pull loop.